U slepé Kočičky is a creperie that is located the hostel we were staying at. Out front is a large wooden cat covering it’s eyes. I thought while I was there the title of the restaurant translated into sleepy cat, but it seems to translate into the blind cat. I eventually ended up going, close to when I was about leave. I ordered a cheese, spinach and chicken crepe and didn’t actually like it. I was trying to be healthy but I didn’t like the taste of the cheese. 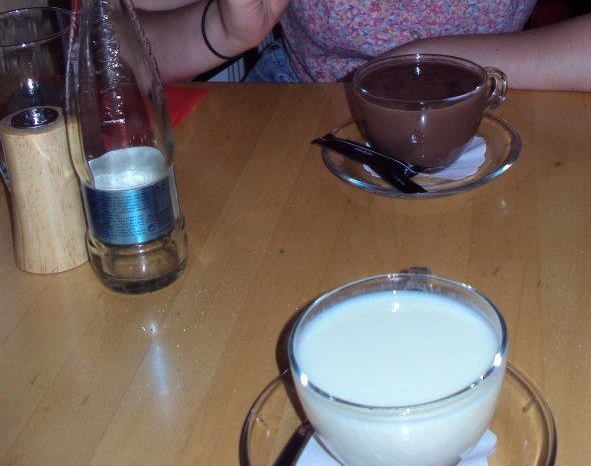 I also ordered dessert which was essential a mug full of melted chocolate which I absolutely loved. My friend enjoyed her meal and it’s a pretty popular restaurant, so I’m sure their other options are good. They also have wifi.